'Revelation' speaker cable lives up to its name and delivers unprecedented sonic performance at a price comfortably affordable by all Hi-Fi and home cinema enthusiasts. This cable is a miniaturized version of our flagship 'Genesis' cable and features Teflon dielectrics to maintain its low impedance. 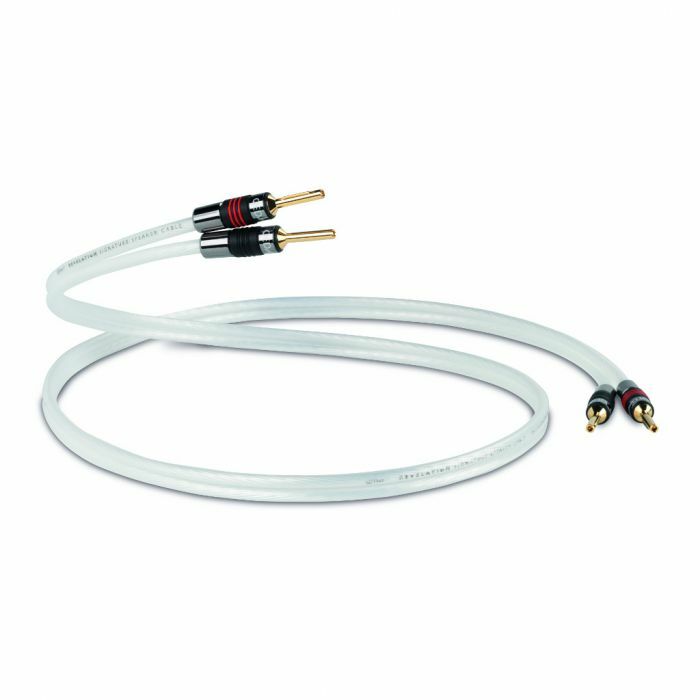 This cable offers exceptional performance for its price through its use of carefully calculated X-Tube™ and Genesis Silver Spiral geometries which have the combined effect of reducing the overall impedance of the cable below that which would be expected of a traditional speaker cable of the same cross-sectional area. Aircore Technology™ is completely effective in reducing the self-inductance of the cable to around half that expected of parallel conductors by calculation. Because of this conductor spacing can be increased to reduce capacitance without the extra inductance generated by this change causing audible problems in the cable performance.